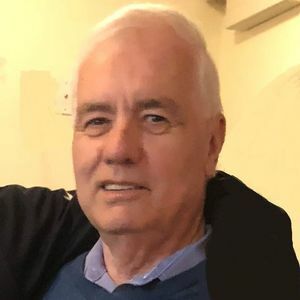 Edward F. Buckley, a resident of Melrose, passed away peacefully on Wednesday, January 30, 2019, at Melrose-Wakefield Hospital, at the age of 73. Ed was born in Gloucester on October 8, 1945, one of six children of the late Dorothy (Walters) Robinson and his step-father Dewey Robinson. He was raised in Ipswich, and graduated from Ipswich High School in 1963. In 1965, he married his wife and best friend, Jane Alexander. Throughout his career, Ed held logistics positions in various seafood companies on both the North and South Shore. Over the last few years he enjoyed his time working at Mystic Valley Elder Services. A selfless man, Ed always put others ahead of himself. He was entirely devoted to his wife Jane, son Rich, his daughter-in-law Kelly and two grandchildren Cade and Mikayla. Outside of work, he always centered his life and activities around his family. He enjoyed watching his grandchildren play sports, dance and was fully supportive of all their activities. Ed loved being near the ocean and enjoyed summer visits to Scituate with his family. He enjoyed fishing with his grandchildren and looked forward to winning his annual Florida State/Miami Football game "pizza bet". Ed was the beloved husband of Jane (Alexander) Buckley with whom he shared 53 years of marriage. Devoted father of Richard D. Buckley and his wife Kelly of Peabody, and his nephew Tim Ewing (who he considered a second son) and his wife Lisa of Peabody. Dear brother of Lora Lee Thomas and her husband Jody of Tallahassee, FL, and the late William Ward, Mary Ewing, James Buckley and Timothy Buckley. Caring brother-in-law of Paul Alexander and his wife Denise of Wakefield. Cherished grandfather of Mikayla and Cade. He is survived by many nieces, nephews and lifelong friends. He will be loved and missed by all who knew him, and as he always said to his grandchildren…. "keep smiling!" There will be no services at this time, A Celebration of Life will take place at a future date. Gifts in memory of Ed may be made to the American Heart Association, 300 5th Ave., Waltham, MA 02451, or to Mystic Valley Elder Services, 300 Commercial St. #19, Malden, MA 02148. The beautiful and interactive Eternal Tribute tells Edward 's life story the way it deserves to be told in words, pictures and video. So sorry for your loss. I will miss his great sense of humor and his kindness. Ed was a smart and funny guy. He will be deeply missed. His sense of humor was priceless. RIP Ed. Thoughts and prayers to his wife Jane and family. Ed was a smart and funny guy. He will be deeply missed. His sense of humor was priceless. RIP Ed. Thoughts and prayers to his wife and family. Buck, I never met your Dad but he had to be a great man because he raised a great son! My condolences to you and the entire Buckley family. My thoughts and prayers will be with you at this very difficult time.